Lake Tarawera walking tracks the best way to experience what lake Tarawera has to offer besides the lake is by following the Lake Tarawera walking tracks. It is so rewarding to a point that you will be amazed by its natural beauty. There are various walking trails that you can follow to view the area from various angles and as you take a Lake Tarawera walk, you will be amazed by all the beauty that it has to offer. It’s an area with extra-ordinary landscape considering that it was altered by the eruption that took place back in the year 1886. 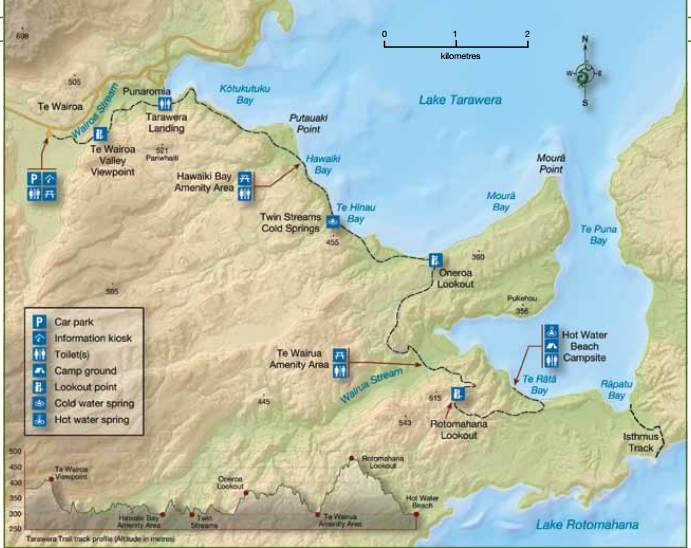 This assures you that by following the Lake Tarawera walking tracks, you will be in one of the most unique places in the world. The landscapes are amazing. One of the most rewarding tracks leads to Humpries Bay. When you are at Tarawera outlet, you will cross the bridge and at the junction, you turn left. This is where your Lake Tarawera great walk starts from. Before descending into the bay, you will pass a jetty and embark on your scenic walk. It is a walk that many have taken and can attest how beautiful the sceneries are. This is also a popular camping spot where you can also enjoy some picnic. If you love the experience or you are a tramper, you can double your experience by taking more of the tarawera lake walk. Continue for about 20 minutes to reach the Otangimoana Bay. You access this bay on Lake Okataina by taking the Eastern Okataina Walkway. This walk in addition to the one to the Humpries Bay is for the trampers only. 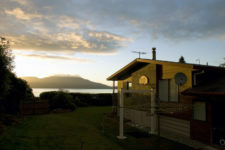 It’s a great place to enjoy more of Lake Tarawera hot water beach walk. More picturesque sceneries are seen as you continue with the walk to reach Tauranganui Bay. It’s a walk that will take you 2 hours 40minutes. The timeless beauty of the falls will take your breath away. This time round, you will turn to your right from the bridge at the Tarawera Outlet. You will go upstream the Tarawera River when you embark on your Lake Tarawera great walk and enjoy the views along the way. This is a unique river that disappears underground in several areas. Taking this Lake Tarawera walkway will take you 2 hours with a distance of 5km. You will end up at Tarawera Falls and to the viewing area. It’s a spectacular view of the native bush surrounded falls with a rock cliff where water can be seen surging out of the fissures. You can learn more about the significance of this area through the signs located here. Naturally and culturally, this is an important attraction site in New Zealand. When walking along a Lake Tarawera walkway or a Lake Tarawera walk to hot water beach, you need to be in comfortable clothing and shoes if you are to complete this walk. You need a total of 3 hours to complete the 6km walk. If you are with friends or family, you will love this site as its perfect for picnic.